This grooming set has all the tools a man needs to look his best. 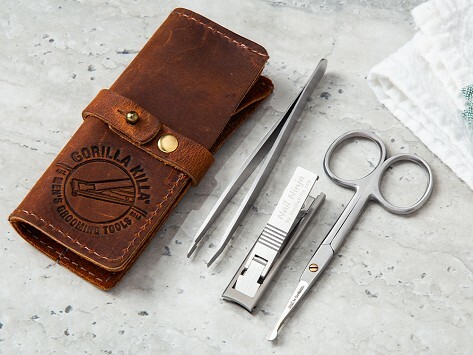 A leather tool roll keeps the stainless steel tweezers, travel-size hair trimmer, and nail clipper neatly organized and protected. And because they’re all TSA-approved (and guaranteed for a lifetime), this set can travel with you so you’ll be well-groomed wherever you go. Well made and well worth the investment. This is a a nice kit for "manly' grooming. I, especially, like the leather pouch that keeps it all together. A nice addition to any man's grooming bag. BTW, am a real purchaser and user!